The commercial quadcopter is a small computer with rotors. Cheap, versatile, and adapted for everything from peacetime wedding photography to battlefield improvised explosive device, quadcopters open up the possibility of aerial scouting and attacks to any military, uniformed or otherwise, with a few hundred dollars and the ability to charge batteries. Behind that low cost is a price deemed unacceptable, at least at present, to the Pentagon: all those flying computers, the overwhelming majority of which are made in China, could be a vector for cybersecurity risk. On May 23rd, the Department of Defense sent a memo out immediately suspending the purchase and use of commercial drones, until cybersecurity concerns could be addressed. “The Department of Defense has suspended the purchase and use of commercial-off-the-shelf Unmanned Aerial Systems in order to develop a strategy that assesses and mitigates potential cybersecurity risks of their use. Military services and combatant commands continue to ensure U.S. personnel have all required resources to safely accomplish their missions. Due to operational security and the safety of U.S. personnel who selflessly serve around the world, nothing specific for ongoing operations or locations will be provided. Cyber security has, and will remain, one of the Department’s top priorities. A provision for exemptions is in place, and being used, for urgent needs on a case by case basis. Due to operational security, exemption requests will remain classified and non-releasable. This is not the first time the Pentagon has halted use of commercial drones by the military. Last August, the U.S. Army ordered soldiers to stop using drones made by China’s DJI. 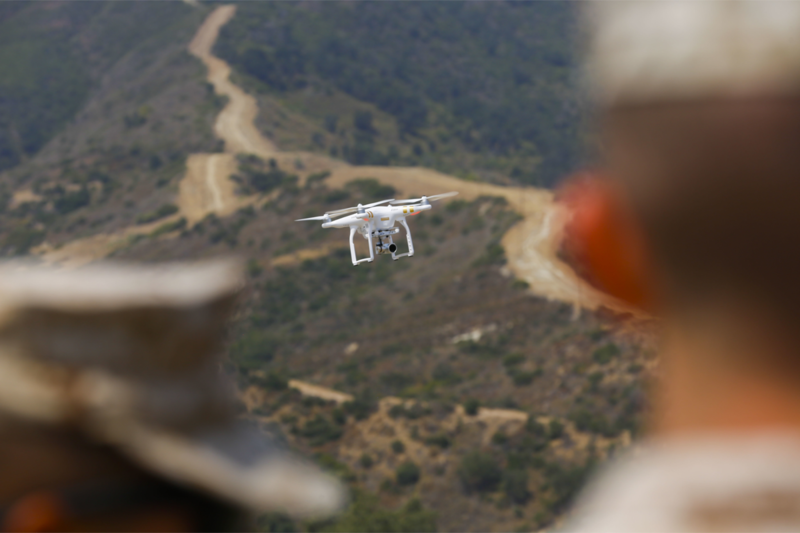 Before that, the Army had worked with the Marine Corps to write guidelines for integrating the cheap unmanned flying machines into military use. In the August 2017 memo, the Army specifically cited “increased awareness of cyber vulnerabilities associated with DJI products,” as the reason for the halt, and by the wording of the latest memo, it appears the awareness of vulnerabilities extends to all off-the-shelf drones by all brands. Of particular note is that this memo comes after the Pentagon requested funds for roughly 2,000 quadcopters, a number that most likely underestimates how many drones are purchased for use through the Department. All of that is on-hold until the Department can figure out how to safely and securely use the flying machines. In the meantime, there are plenty of vendors willing to sell quadcopters built to military specifications. These are often more capable models, but can cost up to 50-100 times more than a basic commercial drone. 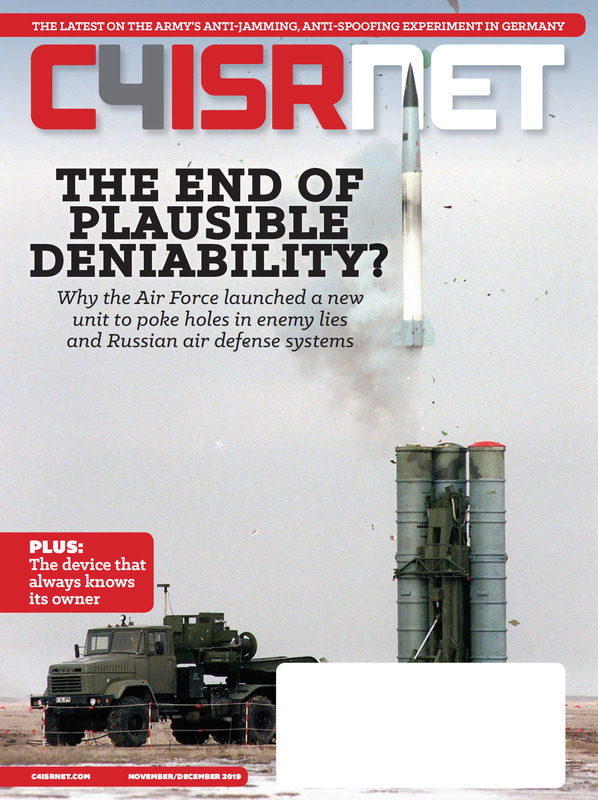 Aaron Mehta of Defense News, a sister publication of C4ISRNET, contributed to this article.